by Wendy Gordon, pioneer in the green consumer movement. Thanksgiving dinner is a rare American meal, and not just because it's an annual event celebrated with family and friends, but also because this day of gratitude tends to spin off the yummiest leftovers, so thankfully little ends up as food scraps. That's not the case for the other 364 days of eating we do. In fact, according to OnEarth.org, a whopping 96 billion pounds of uneaten food are thrown out--253 pounds per American--every year. That's about 1,400 calories per day per person, the equivalent of two full meals for each of us, explains Laura Wright Treadway. We send somewhere between 30 and 40 percent of all edible food produced, bought, and sold in this country to landfills and incinerators. Sure, food is wasted starting on the farm: Annually, approximately 7 percent of crops goes unharvested. And, as Dumpster-diver Jeremy Siefert documents in his new film Dive!, food retail stores--groceries and supermarkets--throw out so much fresh food, he was able to feed his family of four quite well on the pickings of trash containers behind Trader Joe's stores. Check out the Eat Trash campaign to learn more. But as Wright observes, "the biggest players in the food industry--farms, processors, and supermarket chains--are not the largest contributors to food waste. Compared with what we toss out at restaurants and in our own homes, the nation's supermarkets stack up relatively well. According to USDA statistics, in 1995 some 5.4 billion pounds of food were lost at the retail level, while 91 billion pounds were lost in America's kitchens, restaurants, and institutional cafeterias." There are lots of ways to reduce the amount of food we send to landfills, but here's a neat one that I just learned about on Practically Green: It's called Bootstrap Compost and it's a year-round kitchen scrap pickup service. Bootstrap is just a few months old and only available to greater Boston residents, but this little business seems like something that could spring up in just about any community. It could be easy to set up in a retirement community, or be organized by a school group or at a place of worship. It's ripe for any town, big city, or small village. As the website explains, there are few simpler businesses, and rarer still is one that begins to turn a profit just months after launching. But that has been the case for founder Andy Brooks. Bootstrap subscribers get a five-gallon bucket and lid. They fill it with coffee grounds, eggshells, bones, tea bags, veggie matter, and such. Once a week, Bootstrap picks up the filled bucket and leaves you with a clean new bucket. The collected waste is hauled to one of several urban gardening projects in the area. The cost per subscriber is $8 a week. The reward: quarterly bags of fresh compost for your garden. "It's like a bank," Brooks says. "Clients deposit their raw food scraps, and then can withdraw fresh soil after 15 weeks. Customers that have no need for compost can opt to donate theirs to a local community garden." "I absolutely love composting in the city," Sarah Finnie Robinson, a friend who is a Bootstrap subscriber, tells me. "It's amazing to me to derive such profound satisfaction from this one change." There are cities, such as San Francisco, that require citizens to separate their refuse into recyclables, compostables, and trash and others, Louisville, Colorado, for one, that offer pickup services for compostables. The farmer's markets and a number of pocket gardens in my city of New York (PDF) provide drop-off points for fruit and vegetable scraps that are then transported to a compost facility and turned into fertile soil amendment for local farming projects and other uses. Composting as a recognized practice dates to at least the early Roman Empire and the days of Pliny the Elder (AD 23-79). The compost itself is beneficial to the land in many ways, including as a soil conditioner and fertilizer, an additive providing vital humus or humic acids, and a natural pesticide. Compost also is useful in erosion control, land and stream reclamation, and wetlands construction, in addition to working as landfill cover. Robinson will soon receive her first bag of usable compost, the first of those she'll get every few months as a Bootstrap Compost subscriber. She plans to use it in her garden and in potted houseplants. How gratifying to think that from one's composted banana peels, coffee grounds, and eggshells, nutrient-rich soil is generated. What a great way to give thanks. 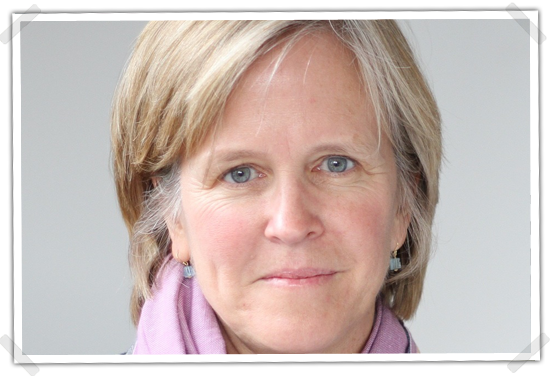 Wendy Gordon is a leader in the green consumer movement. She founded Mothers & Others for a Livable Planet and Green Guide, a resource for the eco-conscious consumer. She is now a consulting editor for OnEarth and the Natural Resource Defense Council.